Most horses will have a lameness at some point in their lives, some will be self- resolving but other need diagnostic work up and/or treatment to fully recover. Lameness is basically when a horse is limping, and it can occur in any leg and from a number of causes. When we grade lameness we use a grading system, starting at Grade 0 which is a normal, sound horse; Grade I is mild lameness and continues up to Grade 5 which is a lameness where the horse will not put any weight on that leg. Grade 5 lameness indicate a severe infection involving a joint or cellulitis, a foot abscess or a broken leg. Determining which leg the horse is lame on. Often they may seem sore on one leg but it may in fact another leg as the horse is trying to compensate for the sore leg. It can be tricky! 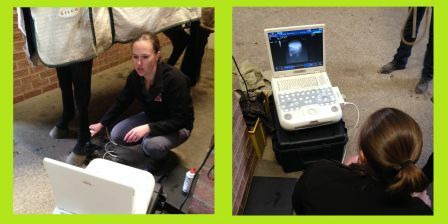 We now have brand new equipment allowing us to scan your horses’ legs in case of lameness or injury that appear to be related to the tendons. We can bring our ultrasound out to your property and get live viewing of the images on site. 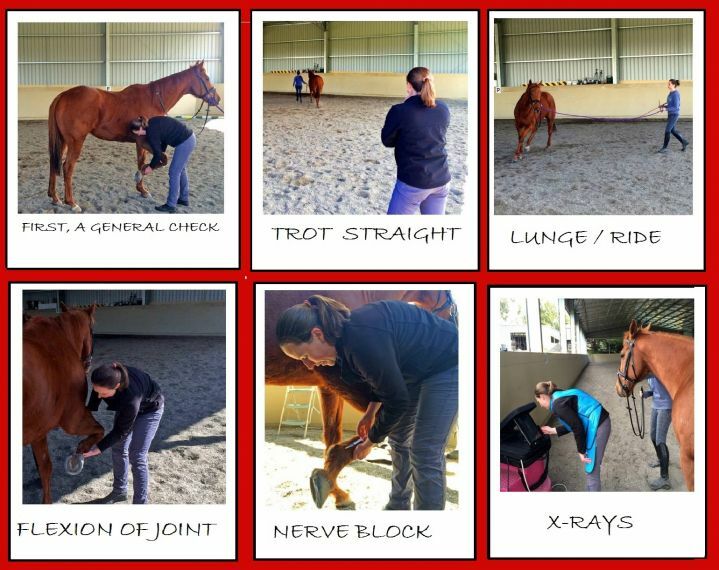 If you have any questions or would like your horse to be examined, please don’t hesitate to call us. If your horse is lame, please contact us for more information or to book an appointment with a vet. There are many causes of lameness in horses, including traumatic wounds, foot abscesses, degenerative joint disease amongst others. Pet owners trust us to look after the needs of their beloved companions. We are specialists committed to delivering the very highest of veterinary care. If your enquiry is urgent please contact us by Telephone during business hours, or for emergencies please visit the Emergency page.